Thinking outside-the-box for your holiday party this year? Well, the Trail of Lights is what we’d consider outside-the-box, literally - outside. If your group is bored of the same old holiday soiree - from bars to hotel ballrooms - there are only so many ways to activate a space and make it something really special. What if we told you booking the Trail of Lights for your 2017 holiday party venue will give you a unique new way to celebrate with minimal effort on your part? With the Trail of Lights, your party will be uniquely tailored to your organization and will give your guests a party they’ll never want to leave! Not only that, but even you (the host) can have a stress-free, fun night too! The Trail of Lights offers the perfect holiday backdrop to your annual event. 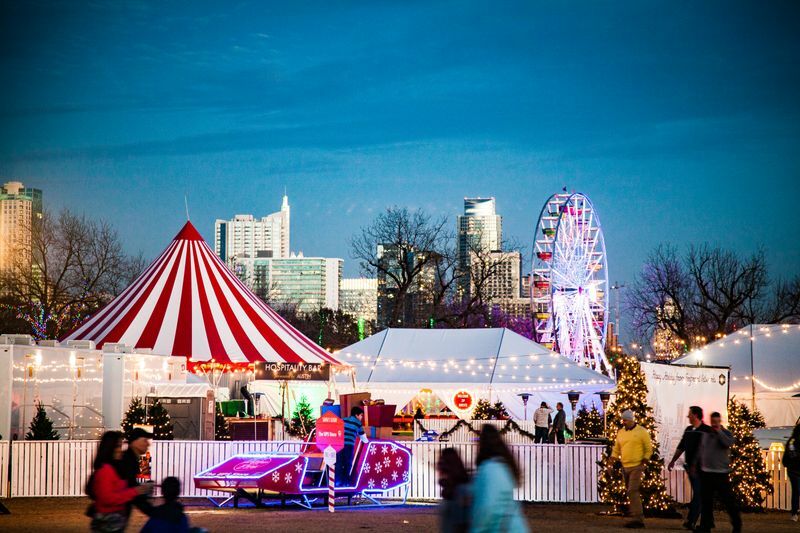 2 million+ lights in Zilker Park, built-in nostalgia and Austin tradition. How much more festive does it get?? Options for all ages and over 30 holiday displays will bring a smile to your face and photo-ops not to be missed! While the venue provides a magical experience in itself, we also provide an array of additional entertainment options to knock you off your feet! 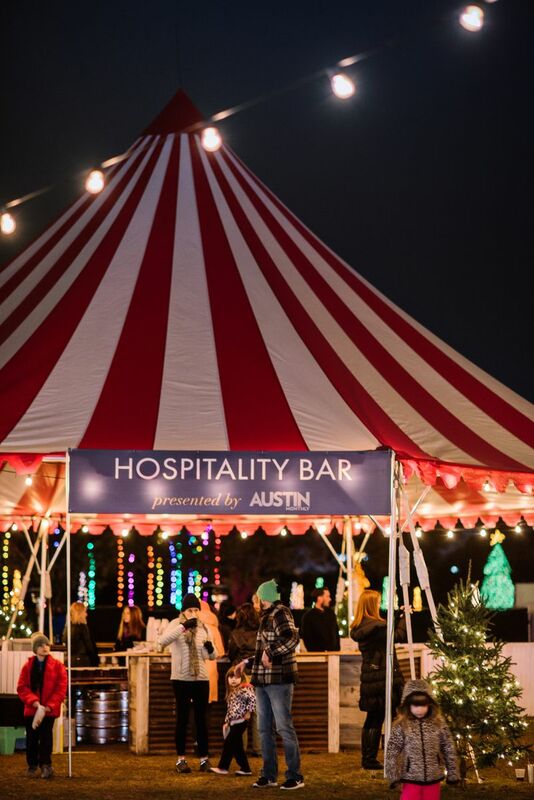 Our bars are stocked full with local brews and festive cocktails. We even offer private bars as an option for those looking for a more intimate party experience. Did we mention we love receiving your input on cocktail ideas for your party? 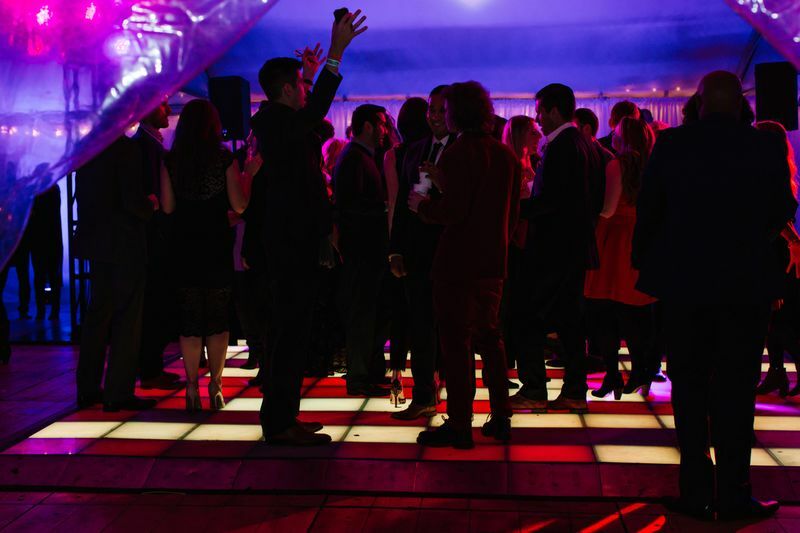 Whether you're two-stepping or doing the cha cha slide, we can provide you with a light up dance floor for the ultimate holiday party experience! 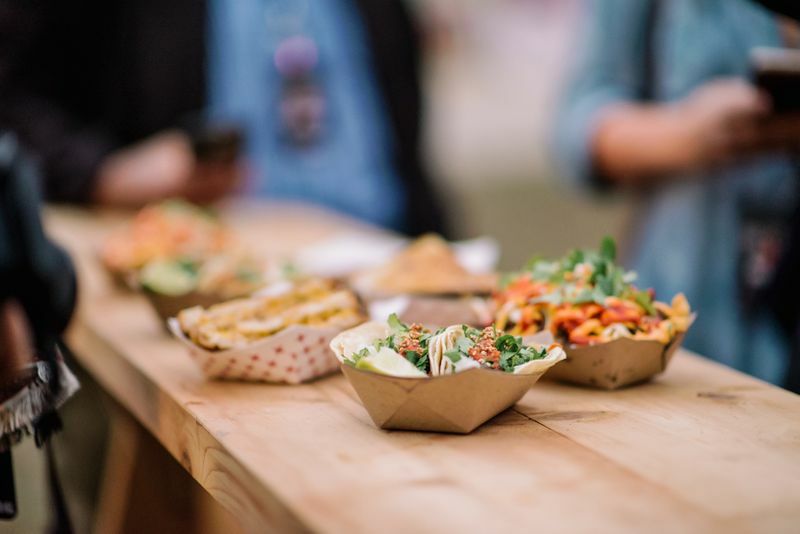 Whether you're style is more annual carnival foods (kettle korn, turkey legs and the like) or foodie faves from Burro Cheese Kitchen, Cabo Bob's, sMASHtini, Verdes and more - we've got you covered! All you have to do is let us know what you're looking for and our dedicated hospitality staff will take care of everything! 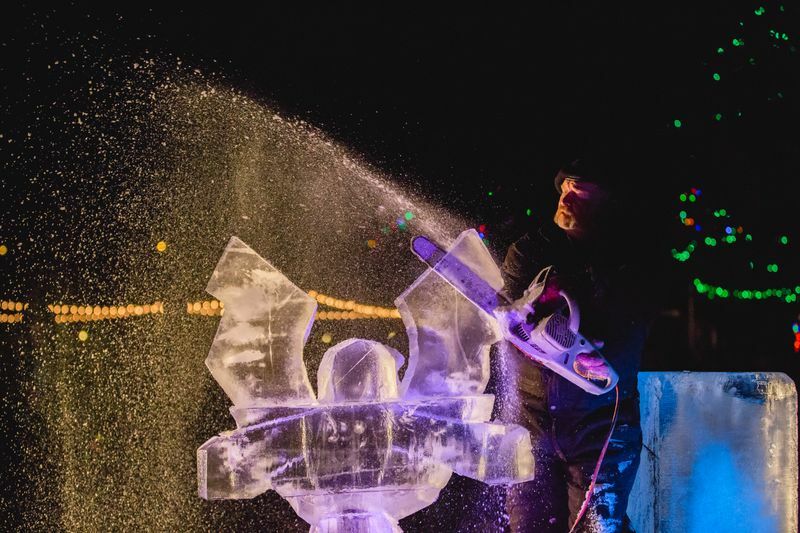 Ice carving, caricatures, t-shirt screen printing and more - we have endless opportunities for one-of-a-kind takeaways and experiences for all your guests. 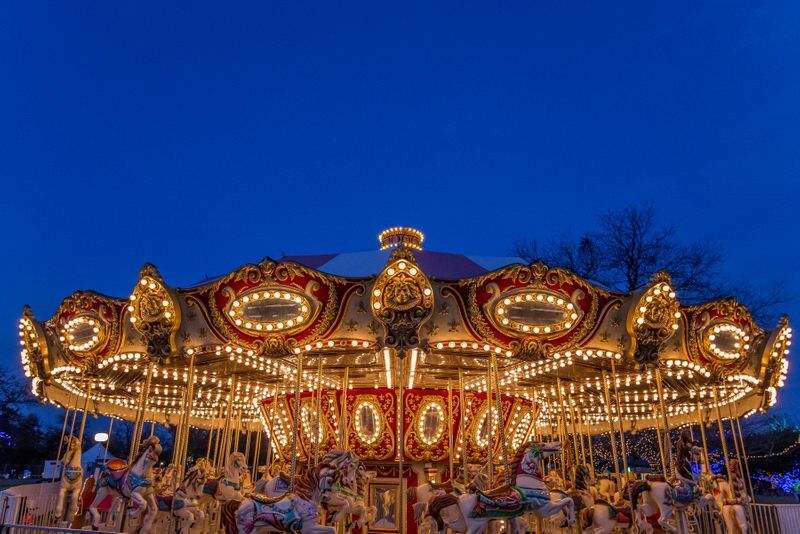 Carousel rides for the kiddos and Ferris wheel rides for all. Purchase amusement ride tickets in advance when planning your party and see eyes light up with delight! 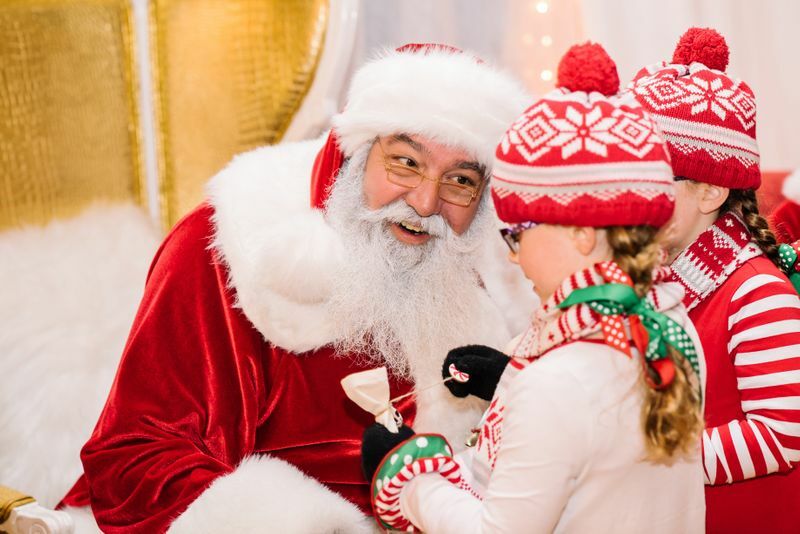 The most epic photo op of them all - kids and adults alike will have a chance to sit on Santa's lap! These ideas are only the beginning! Even more opportunities include live music from local bands, a dedicated DJ, DIY S'more bars, upgraded custom decor, interactive photo booths and more. You name it, we can do it. So what are you waiting for? Contact us to plan your biggest holiday bash yet and let us entertain you!